The 122nd release on Tash’s Movement Recordings welcomes Just 9eorge back to the label for a brand new EP. No stranger to the Greek imprint, Just 9eorge is making his 5th appearance here and one which follows several successes. His label debut was met with much praise when Nick Muir featured ‘Barbouni’ on John Digweed’s much loved Transitions radioshow. His unique fusion of soulful sounds and summery grooves is utterly captivating and has quickly made him a primary artist on the Movement Recordings roster. 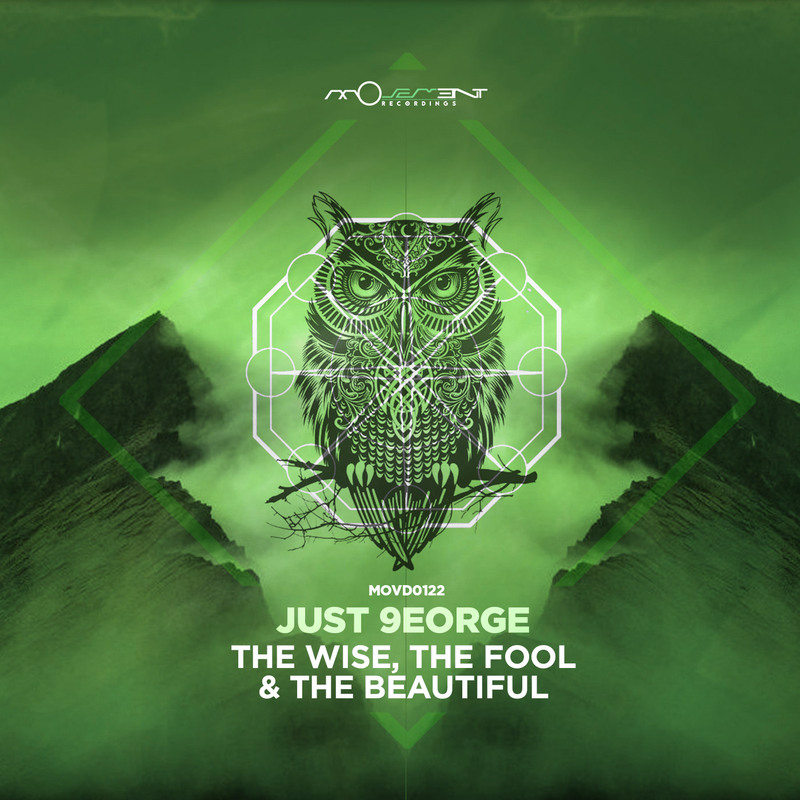 Now to kick off 2016 Just 9eorge presents his new 3 track EP entitled ‘The Wise, The Fool and The Beautiful. The EP gets underway with ‘The Wise’, an electronica creation with smooth Mediterranean vibes. Broken beats and guitar strums set a soulful mood early while distinctive drums add a unique flair. An enchanting break sets up a stripped down section where the tracks most emotive elements shine. Full of wonderful space, it’s shimmering electronics slowly bring back the lead elements for an unforgettable conclusion. A great start to the EP. The second selection ‘The Fool’ continues Just 9eorge’s excursion into broken beats and guitar motifs. With a rougher more rugged vibe the Greek producer paints an amazing storyboard of mystical atmospheres and warm bass swells. As the piece builds, it’s deliberate beats intensify for a cascade of chord changes, eventually unveiling a full guitar lead. Flowing through the break its distinctive riffs make for some brooding moments and ultimately lead to a subversive conclusion. Unique and wonderful music from Just 9eorge. The EP is closed out with the appropriately titled ‘….and the Beautiful’. Layered beats with a unique flair for both techno and house are led by a wonderful tonal theme. Clusters of bass stabs carve out the undulating groove while timely sweeps and bleepy electronics tantalize the senses. It’s colourful charm and playful vibe might be its strongest suit and while more of a straight forward dance floor cut it builds on what the previous two foreshadowed so wonderfully. A perfect end to a unique, inspired and musical EP from Just 9eorge. Don’t miss it.